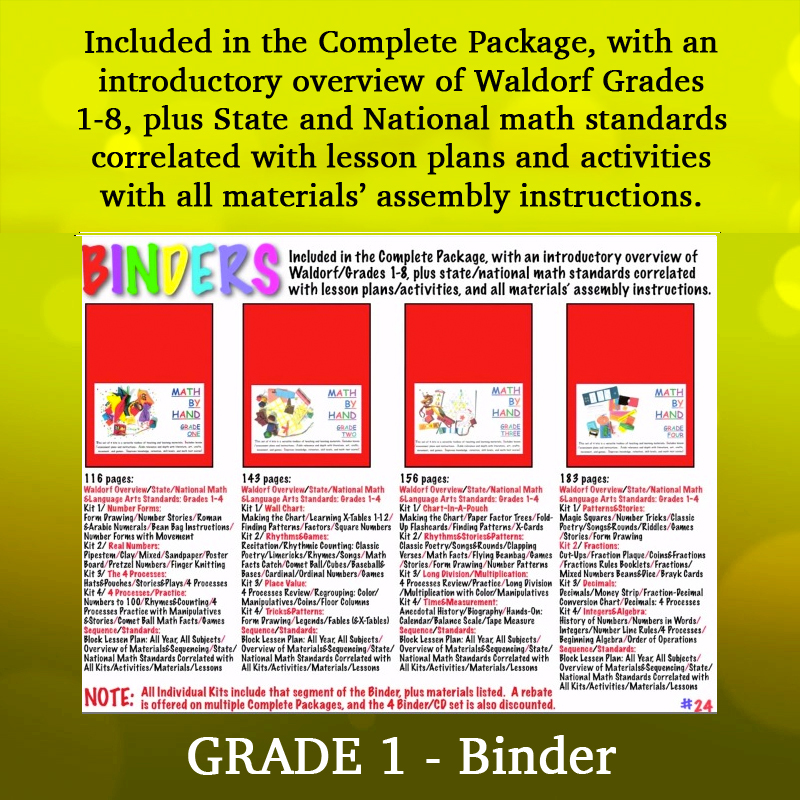 GRADE 1 DAILY LESSON PLANS BOOK: is a day-by-day guide divided into three 20-day Waldorf-style blocks. 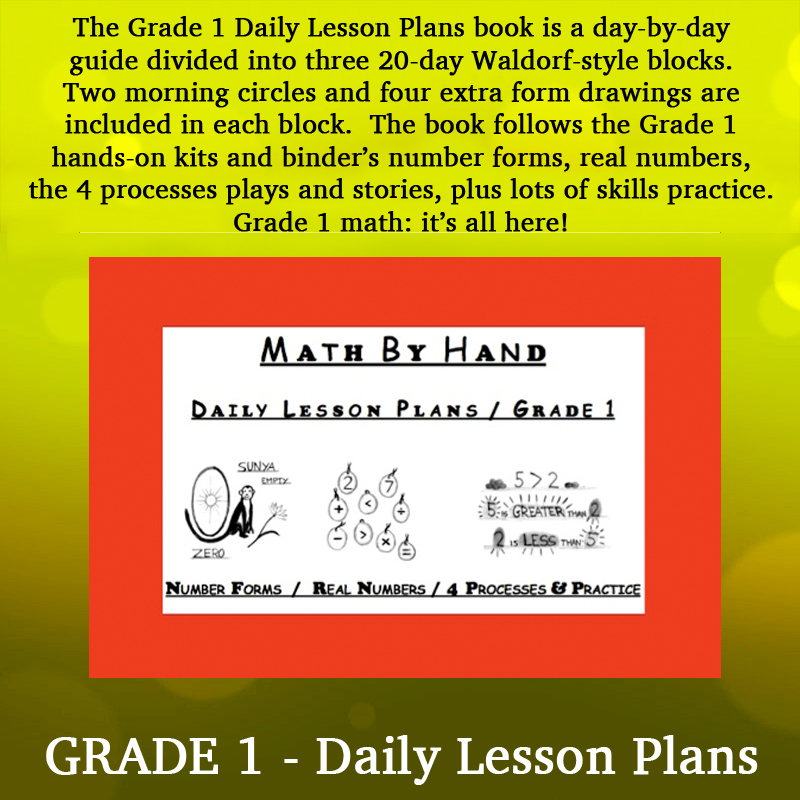 Two morning circles and four extra form drawings are included in each block. 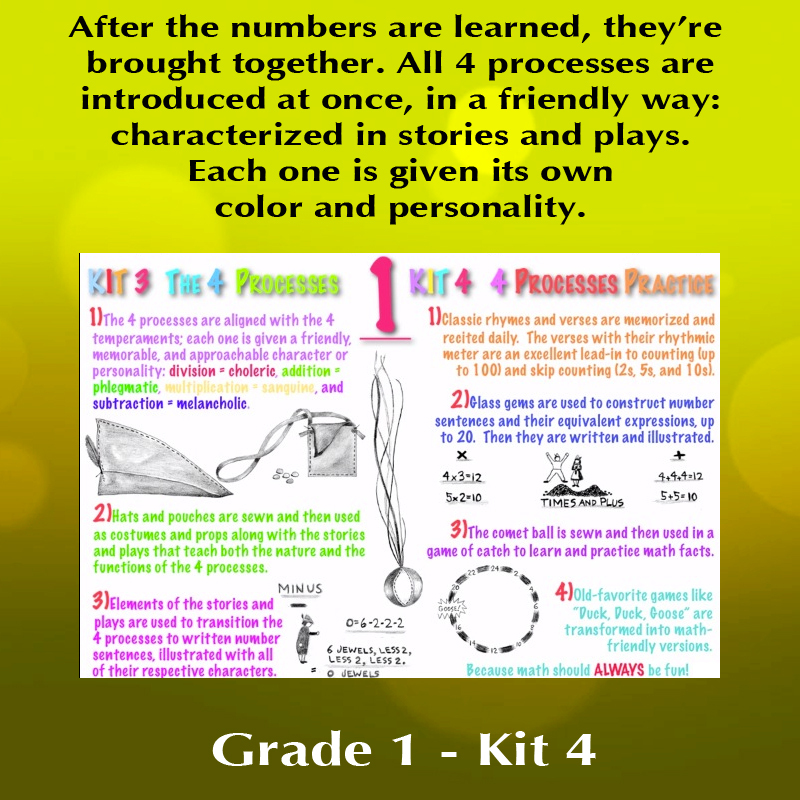 The plan follows the Grade 1 hands-on kits and binder’s number forms, real numbers, the 4 processes plays and stories, plus lots of skills practice. 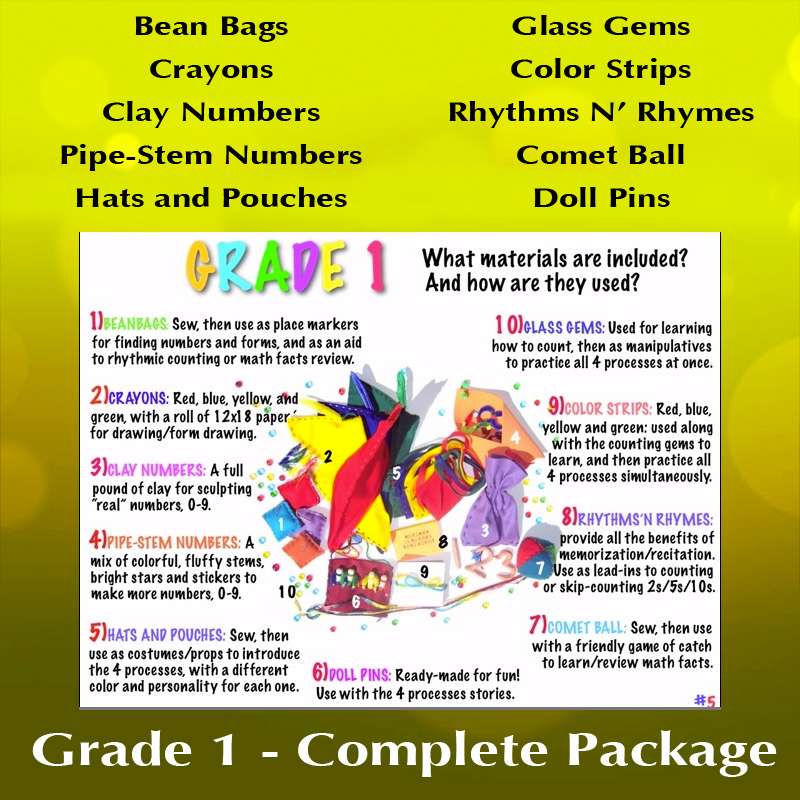 Grade 1 math: it’s all here!